Back in September the Duke and Duchess went on an Asia tour as part of the Queen's Diamond Jubliee. 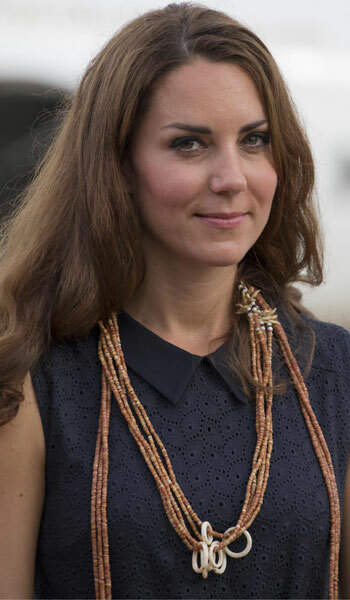 Here is Kate arriving at the Solomon Islands. 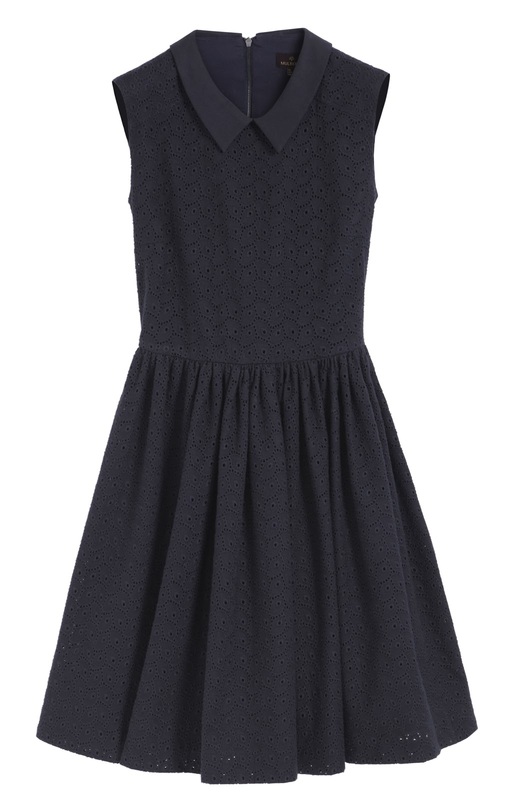 She wore a Mulberry dress in navy broderie anglaise, which for Americans is known as eyelet. She accessorised the dress with a matching belt and her favored shoes of that season, the Stuart Weitzman cork wedges. The dress actually has a collar, which you can't see in the above picture since Kate's hair is in the way but here is a close up. Due to the tropical location, the effect of the humidity on her hair, and the collar detail this would have been a great opportunity for her to wear her hair up in a fun pony, but alas she did not. I actually like this dress since I think fuller skirts really help proportion her figure, however I think that "skater" style dress isn't very appropriate for an official tour visit. I think the fabric choice is fresh and appropriate for the tropical location, I just wish she would have chosen a brighter color! This dress was part of the Mulberry 2012 Resort collection. Since its a past collection I couldn't find any listing for this dress but one estimate that I saw puts it at about $500 U.S.
Obviously I would have loved to find a black or navy eyelet dress, but I had to settle for a similar albeit plain one from Dorothy Perkins. 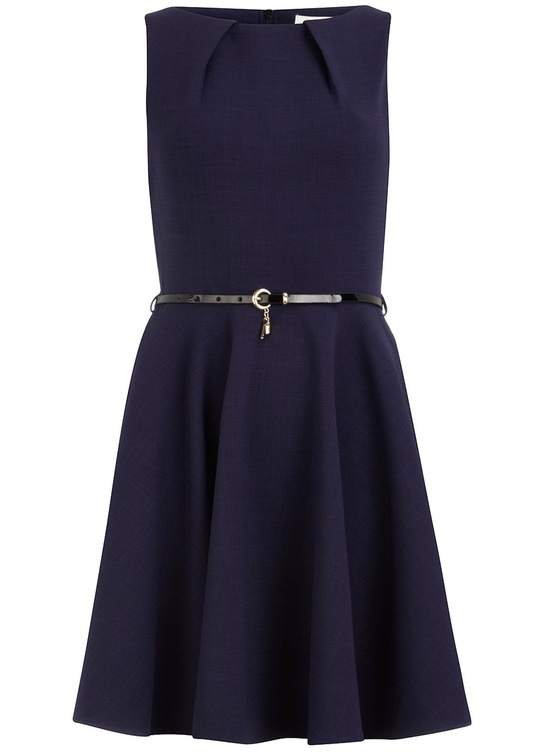 I still think its an excellent repliKate since the silhouette is spot on, the "skater" length is about the same, and it has both a belt detail and a neckline detail that sort of mimics the collar of Kate's version. 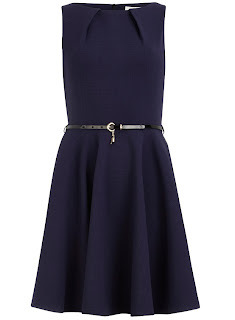 Dorothy Perkins - navy flared dress.